What do with dying golf courses? Let the NIMBY wars begin. With about 10 million less golfers than there were circa 2002, the question of what to do with hundreds of acres of former courses has revealed something of a dilemma. 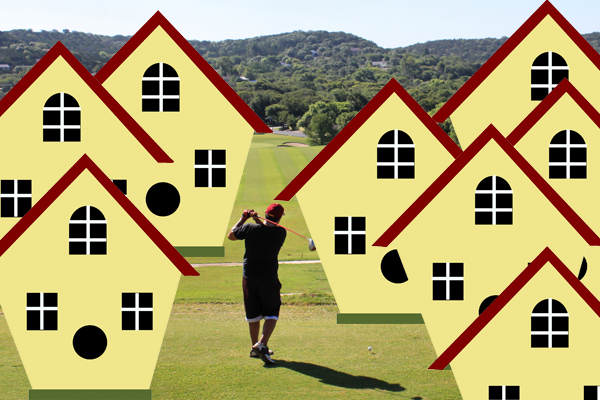 Former golf courses are arguably the best sites for new housing developments; as City Lab puts it, they are surrounded by wealthy communities with good schools and, likely, solid job opportunities, but neighbors don’t seem open to the idea. Most old golf courses, perhaps because they’re zoned commercially, end up being developments with a mix of office, retail and hospitality components or parks.